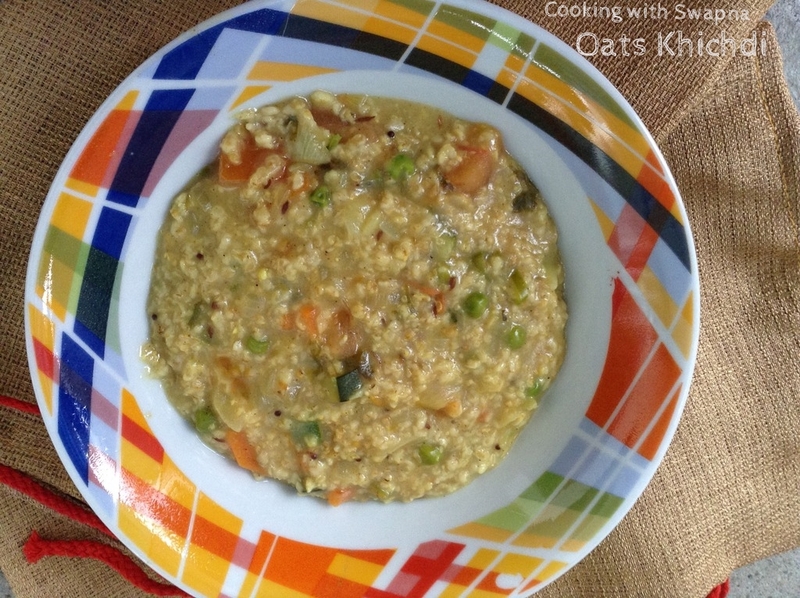 Cooking With Swapna: Oats Khichdi !! 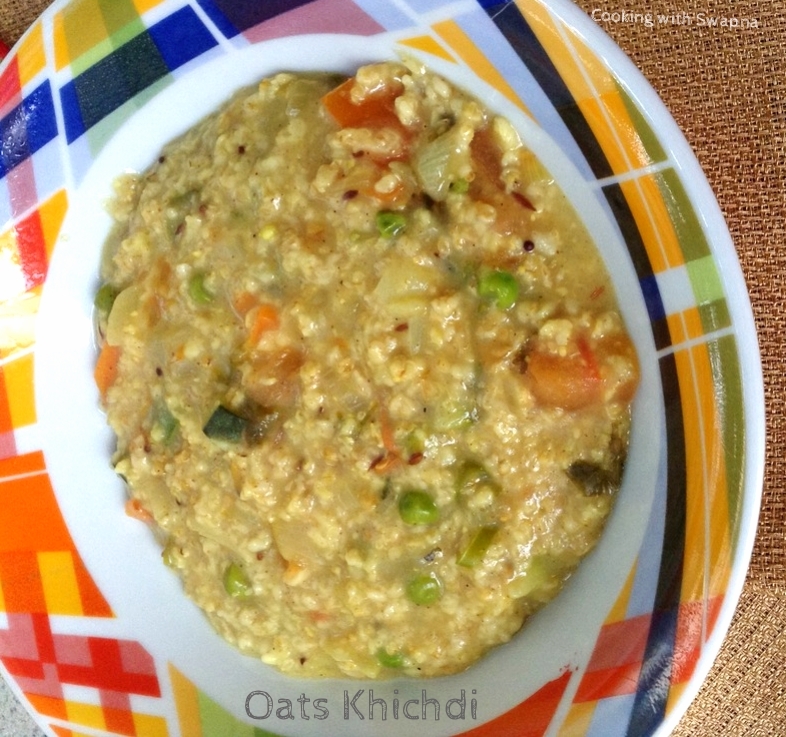 If you are looking for healthy breakfast, then oats chichi made with tomato and vegetables is an interesting recipe that can be served with hot tea or coffee. 1. Heat oil in the pressure cooker, add cumin seeds, mustard seeds and finely chopped onions. Saute till tender. 2. Add chopped green chillies, tomato, hing, mint leaves, ginger garlic paste, turmeric powder, cut vegetables and salt to taste. Saute for few mins. 3. 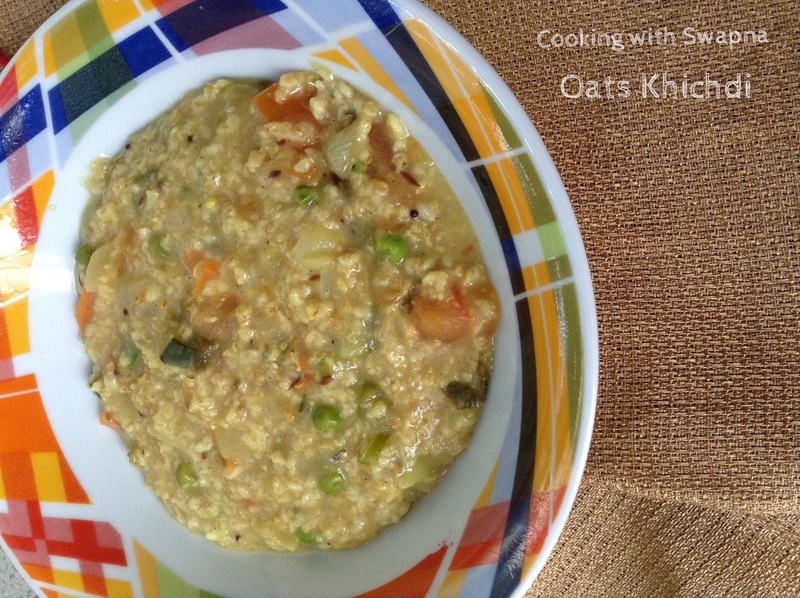 Add moong dal, oats, lemon juice and water. 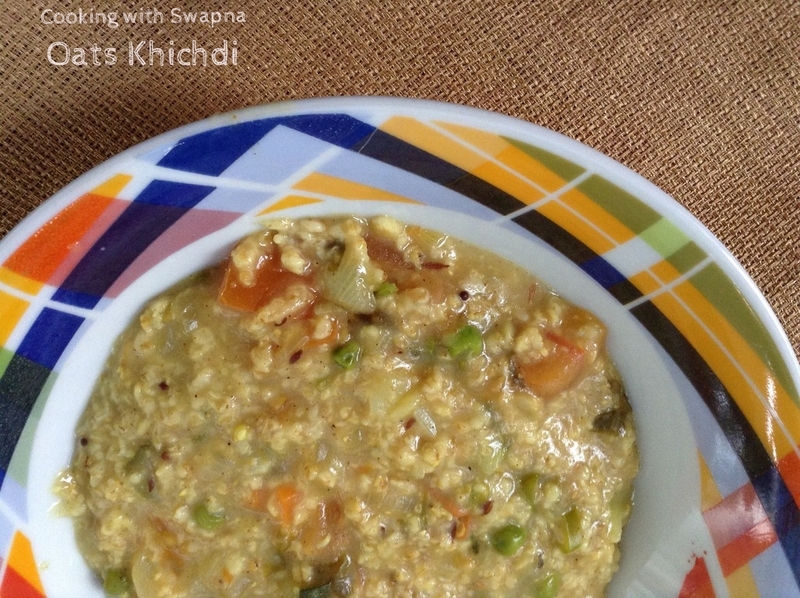 Pressure cook the khichdi till done. Garnish it with coriander leaves. 1. Instead of green chillies, we can add chilly powder or even both. 2. 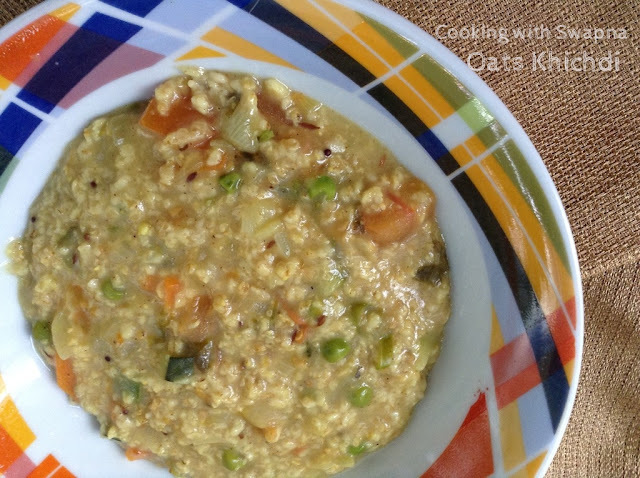 Instead of moong dal, we can use masoor dal too.